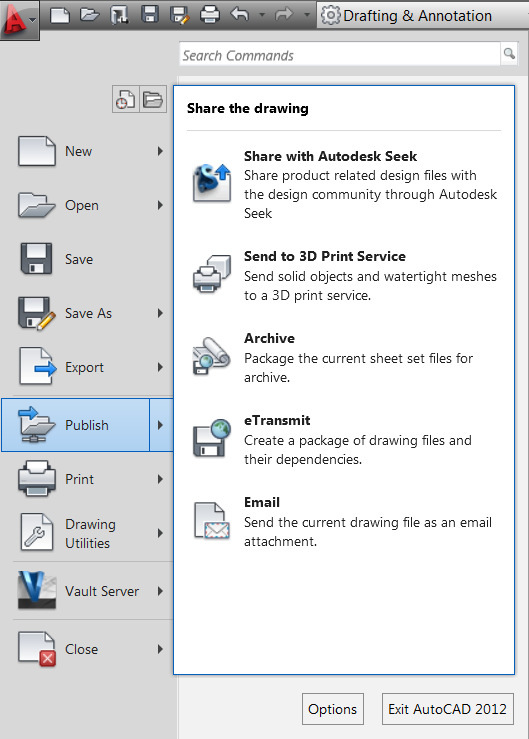 You can use the AutoCAD e-transmit feature to remove problem printer setups and plot styles, as well as some problems with links external files. Go to the application menu, click publish. 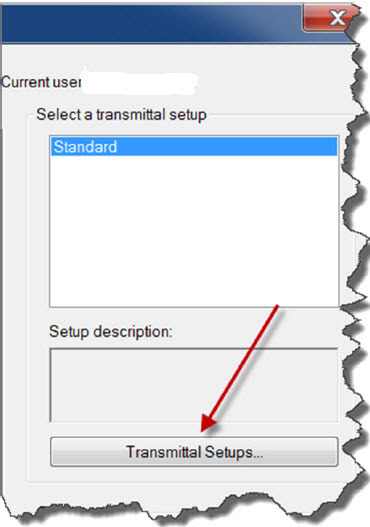 Select “eTransmit” to launch the “Create Transmittal” dialog box. In the setup dialog box select “Modify”. 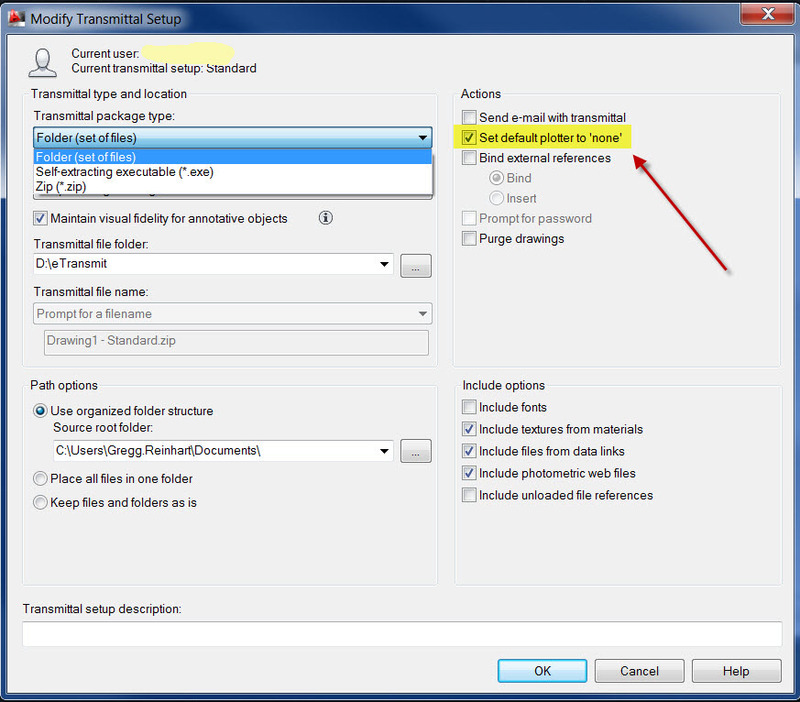 Set “Transmittal package type” to folder. Set “File format” to the desired AutoCAD version. Set “Transmittal file folder” and “Path Options” as desired to save file in a safe location. 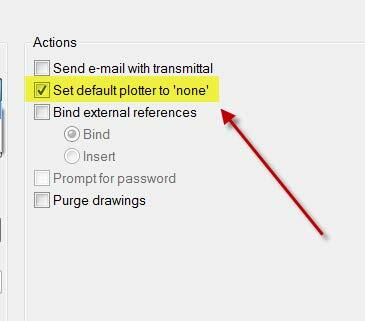 Under “Actions” select “Set default printer to ‘none’”. OK the “Transmittal Setup” dialog. Close the “Transmittal Setups” dialog box. Click OK in the Create Transmittal. This error is being caused by old plotter setups or pen styles that can no longer be used by any of your current printers/plotters. You try using the “purge” command, and then print again, only to get the same error message again. So how do you strip the old data out of the file so that you can use your current printer/plotter setups? The easiest solution is to make use of the AutoCAD eTransmit command to remove all the old printer/plotter setups and pen styles. The eTransmit function is normally used to bundle a package of drawing files together so they can be easily sent electronically. However this feature also has the ability to clean out all the old problem printer setups and plot styles from the drawing. The process for using the eTransmit function to clear a drawing of this problem data is as follows. Go to the main applications menu by clicking on the “A” in the upper left of the program widow and select “Publish”. This will delete all the custom plotter styles and/or pen settings in the drawing and default the current print style to the “none” option as if it were a brand new empty drawing. 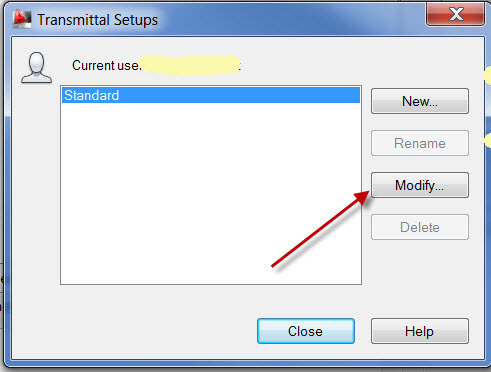 Now click “OK” in the modify transmittal dialog, click “Close” in the transmittal setups dialog, and “OK” in the create transmittal dialog box. The drawing will then be saved out to the location you set in the modify transmittal setup dialog box with all plot styles and pen settings deleted. You should now be able to use the plot function as normal to select your current system’s plotter and pen configurations as you normally would without getting any error messages. If there are features you experience challenges with, let us know by email or reply to this post to let us know how we can help you stay ahead.